The telecom regulator on Thursday said mobile number portability (MNP) will be implemented nationwide from Oct 31, ruling out any further delay. The MNP is a service that allows a mobile user to change his operator while retaining the number. "There will be no further delay in the implementation of MNP," Telecom Regulatory Authority of India (TRAI) Chairman J.S. Sarma said here. The Department of Telecom (DoT) Wednesday said the operators must ensure that all inter-operator tests for porting the numbers from one service provider to another are completed before Sept 1, 2010. The DoT made it clear to all telecom operators that in case they fail to implement MNP as per the scheduled deadline, they will be barred from launching any new commercial services from Sept 1. "It has been decided that permission to launch commercial service in any area with effect from September 1, 2010 shall be given to only those licensee(s) who are MNP compliant," said a DoT note. Mobile service providers - Bharti Airtel, Reliance, Vodafone Essar, Tata Tele, Idea, STel and Aircel - are getting ready to launch high-speed 3G services from next month. 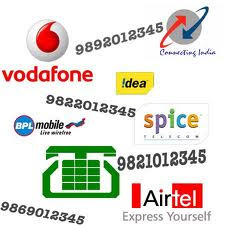 State-owned telcos Bharat Sanchar Nagar Nigam and Mahanagar Telephone Nigam Limited have said they are ready with the infrastructure to implement the MNP service. The earlier June 30 deadline for the implementation of MNP was deferred as the operators were not ready with the infrastructure to provide the service. The MNP was to be implemented by December 31, 2009 in all the metro cities as well as in the states of Maharashtra, Gujarat, Andhra Pradesh, Karnataka and Tamil Nadu. The deadline was then changed to March 31, 2010 and thereafter to June 30, 2010. Asked about the rolling out of 3G services, Sarma said: "I see no reason to believe that there would be any delay."